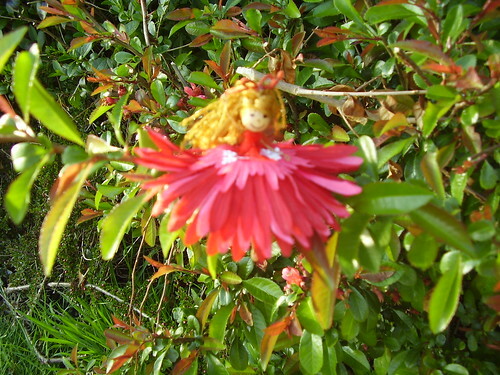 Here she is - my favourite flower fairy. She kind of reminds me of Pippy Long Stockings. I must however apologise for the quality of the photos. They didn't come out as sharp as I wanted. I hope you enjoy them anyway. 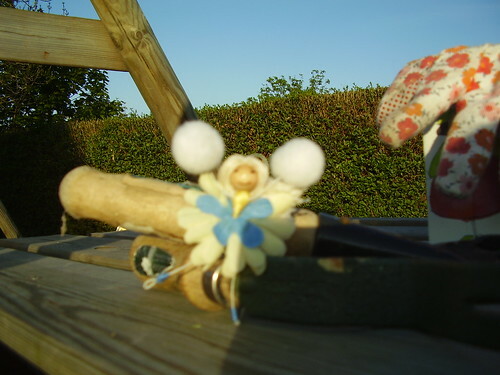 I made this fairy when my daughter was part of a baton twirling group a couple of years ago. I'm sorry the picture quality is so poor. I'm not the best camerawoman in the world. Enjoy anyway. 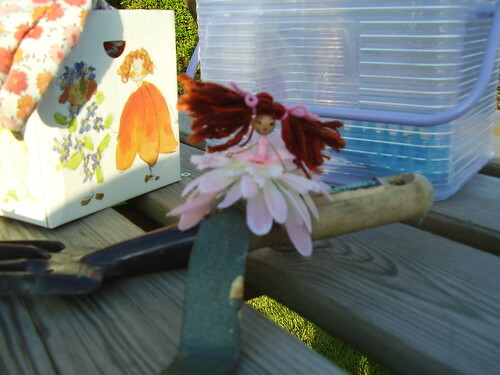 please come back in a couple of days to see examples of my flower fairies and what I use to make them.